Last week five of our IB business students participated in a marketing workshop at the Glion Institute of Higher Education. The group learned about the Swiss hospitality education industry as well as participated in a challenge to pitch to launch a new luxury watch. Santiago (Delaware, Year 13) described how the workshop was setup as a game, "At first we struggled to understand how the whole business challenge was going to be based on a LEGO game, but not long after it turned out to be much more difficult than we thought. The key of the game was to communicate with the members of the team as effectively as possible." The group learned that effective management is more than just being able to tell people what to do. Santiago highlighted the challenge's key goal, "The point was to prove how important yet difficult it is to communicate clearly down the chain of command in a company. As the manager, I thought that I was being very precise with my instructions for the entrepreneur and employees, but this was not true when I saw the outcome of the work." 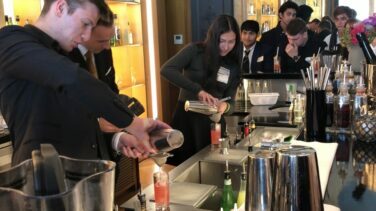 Iana (Le Cerf, Year 13) was impressed by the opportunity to learn about the opportunities available, "The workshop included a presentation about Glion and the pathways it opens to the students, feedback from Glion alumni and then the two team tasks." After learning about corporate communication, the marketing challenge was about organising a luxury launch event for the new watch that Audemars Piguet was about to release. "We were given a budget," says Santiago, "And had to choose a venue, find sponsors, select the guests and come up with the most effective means of advertising. By appealing to the emotions of the target audience, our aim was to provide an unforgettable experience which would lead them to buy our product." Iana summarised the experience, " It was a great learning experience and it aided me into choosing the pathway for my future career." 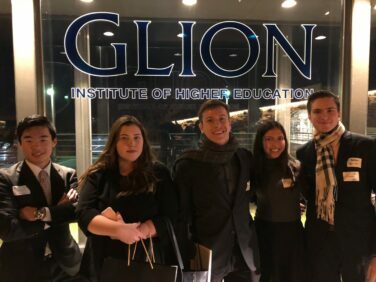 Thank you to the Glion Institute of Higher Education for hosting our students!